West coast fishermen totem, iconic and inukshuk jewelry. 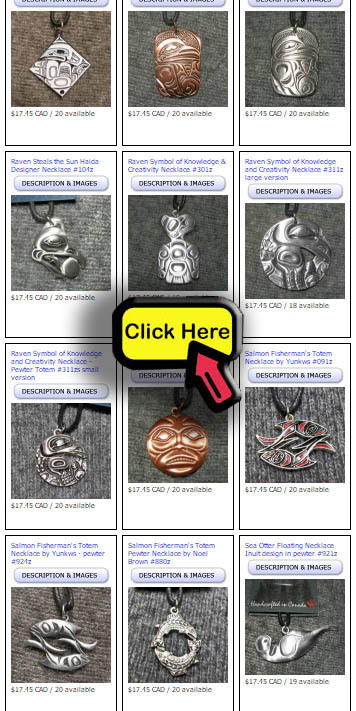 Totems, icons, Canadian wildlife and inukshuk pendants. 54 different designs to choose from. 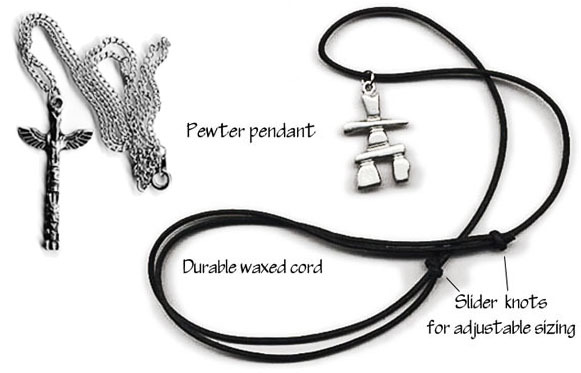 Pendants available on light chain or waxed cord. Crafted of lead free pewter or cloisonne. Some pewter pendants come in copper toned. Supertackle is a Canadian retailer of Frederick Designs products.